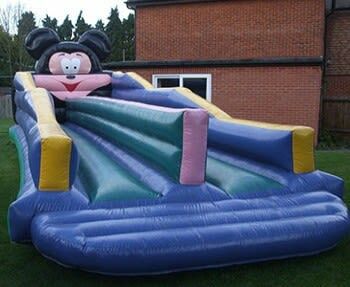 35ft x 11ft x 12ft Our inflatable Bungee run is suitable for both adults and children. Two people use the bungee run at once, each trying to place their Velcro baton as far down the gauntlet as possible before the bungee cord pulls you back to the start. Hilarious fun for both players and spectators.